As well as letting us know exactly how many hours on average every Division player is getting in - 3 hours a day - Ubisoft's end of year financials had a few extra juicy bits of news. First off, Ubi CEO Yves Guillemot said that Watch Dogs 2 will have a "new tone." 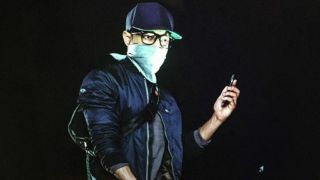 Given that the new Watch Dogs 2 character revealed by a voice actor is still holding a phone and gun and wearing a mask, I'm guessing it might be more of an art style thing. Another juicy nugget from the call is a new triple A IP incoming in this financial year. That means pre March 2017 we'll get something new. I imagine this'll be revealed at E3 alongside more details for Watch Dogs 2 and hopefully a release date for Knights and Vikings slash 'em up For Honor which has gone oddly quiet.